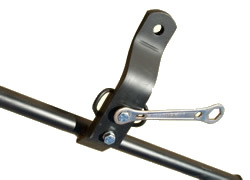 The standard towbar uses a tongue to mount the tow ball and are also known as gooseneck towbars. 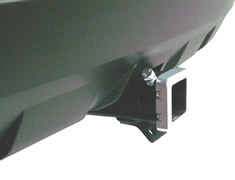 The tongue can be removed by undoing 2 bolts. 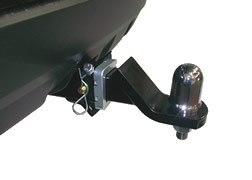 The standard bar is ideal for towing lighter loads like small box trailers, tinnies, jet skis and many other single axle trailers. 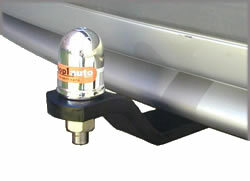 Ratings range from 600kg to 1600kg depending on the vehicle. 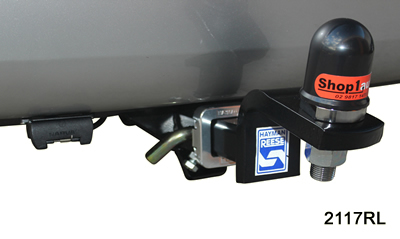 There is also a large range of bike carriers that can be used with a gooseneck tow bar, see our bike rack page for details.